It is what led me to chiropractic and its philosophies. I began to learn the true meaning of holistic health. After college, I immediately enrolled in a chiropractic school to learn this science and to give relief to as many people as possible. Dr. Schoneberger began his pre-chiropractic studies at California State University at Northridge where he studied the basic sciences and graduated with a Degree in both Linguistic and Biology. After completing his degrees at CSUN, he went on to achieve a Doctor of Chiropractic degree from Cleveland Chiropractic College of Los Angeles in April of 1999. During his years at Cleveland, he studied many subjects including biochemistry, microbiology, a major emphasis on anatomy and human physiology, X-ray, nutrition, pathology, rehabilitation, exercise, diagnosis, chiropractic adjusting techniques and patient care. Dr. Schoneberger was consistently on the Dean’s list for academic excellence and a founding member of the Latino Chiropractic Club. Dr. Schoneberger joined Campion Chiropractic in 1999 and was mentored by Dr. Toby Campion, a well known Non-force Chiropractor. Upon Dr. Campion’s retirement and with his blessing, Dr. Schoneberger became the new owner in 2005 and changed the name to ‘Champion’ Chiropractic. 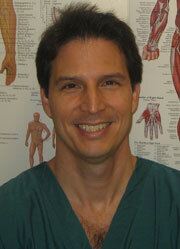 Dr. Schoneberger lives in Burbank, California with his wife, Francine, and their four children. He loves to spend time with his family and enjoys playing numerous musical instruments.